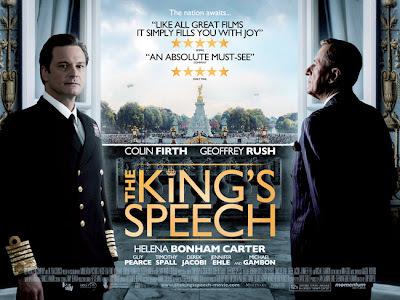 The Quintessential Gentleman: "The King's Speech"
This flawless film is the story of the unlikely friendship between King George VI and his speech therapist. With the advent of wireless and the passing of King George V, the new King is forced to go public with his debilitating stammering. In a unique real life twist on Pygmalion, he turns to an eccentric unaccredited Aussie for help. What follows is what award season is made for. 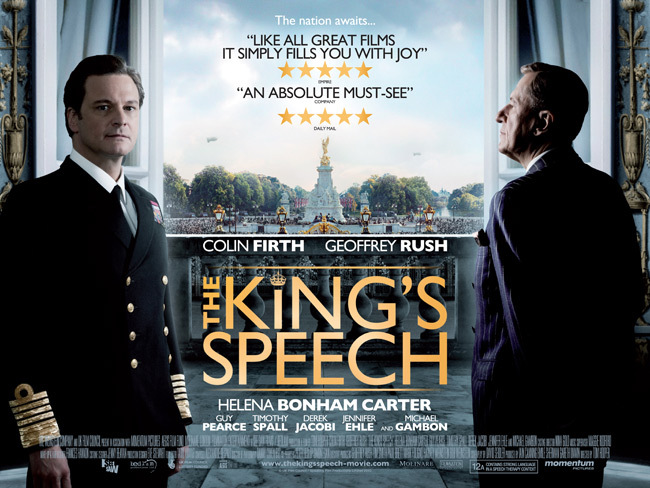 Beyond the attention to detail, which includes majestic locales, vintage Savile Row suiting, and the impeccable casting of such notables as Winston Churchill, the short lived King Edward and Wallis Simpson, this story weaves in the tried and true elements that consistently make for a winning piece of entertainment when executed correctly - A stand up and shout success story, a love story that beats the odds, and a camaraderie that rivals any other in cinematic history. This story, rarely covered in the history books, deserves the accolades it's receiving and should be a favorite come Oscar time.